Ready for Windows 10? SpeakToYourMind is Ready Today. With millions of people already using the Windows 10 operating system and millions more moving to Windows 10 in the future, Microsoft recently launched its Ready for Windows 10 website, including the Ready for Windows 10 Directory. What are the new website and directory all about? More importantly, how can the website and directory help you? Is Your Software Compatible with Windows 10? When you're deciding if and when to start using a new computer operating system (such as Windows 10), software compatibility is often one of the major factors you consider. You need to know if the software you want to use is going to work on your new operating system. With the Ready for Windows 10 website, it's easy for you to find out if the software you’re already using or thinking about using is compatible with Windows 10. How easy? It’s real easy using the new Ready for Windows 10 directory. Visiting the Ready for Windows 10 website, you’ll find the new online Ready for Windows 10 Directory. The directory is a searchable listing of popular software solutions that are compatible with, supported, and in use on Windows 10 today. While the searchable directory is intended for information technology (IT) managers, the good news is the directory is available to everyone. So if you're curious if the software you want to use is compatible with Windows 10, you can easily search the directory. Here at Redwood Technology, Inc., our software development team is very proud to say our SpeakToYourMind flashcard app is compatible with Windows 10 and is included in Microsoft’s Ready for Windows 10 Directory! Let’s use our desktop flashcard app SpeakToYourMind as an example to see how easy it is to search the online directory and find out if the software that's important to you is compatible with and supported on Windows 10. Enter SpeakToYourMind (all one word) to search by software "Solution"
Enter Redwood Technology Inc (no punctuation needed) to search by "Software Provider"
Searching the Ready for Windows 10 Directory by software "Solution"
Searching the Ready for Windows 10 Directory by "Software Provider"
Click the SpeakToYourMind entry and you’ll see the statement saying our desktop flashcard app is "Supported on Windows 10"
We’re very excited SpeakToYourMind is listed in the Ready for Windows 10 Directory. The listing shows our flashcard app is recognized as a popular software solution that is compatible with and runs great on Windows 10. If you would like to experience the best flashcard app for Windows 10, please download the SpeakToYourMind free 14-day trial today. 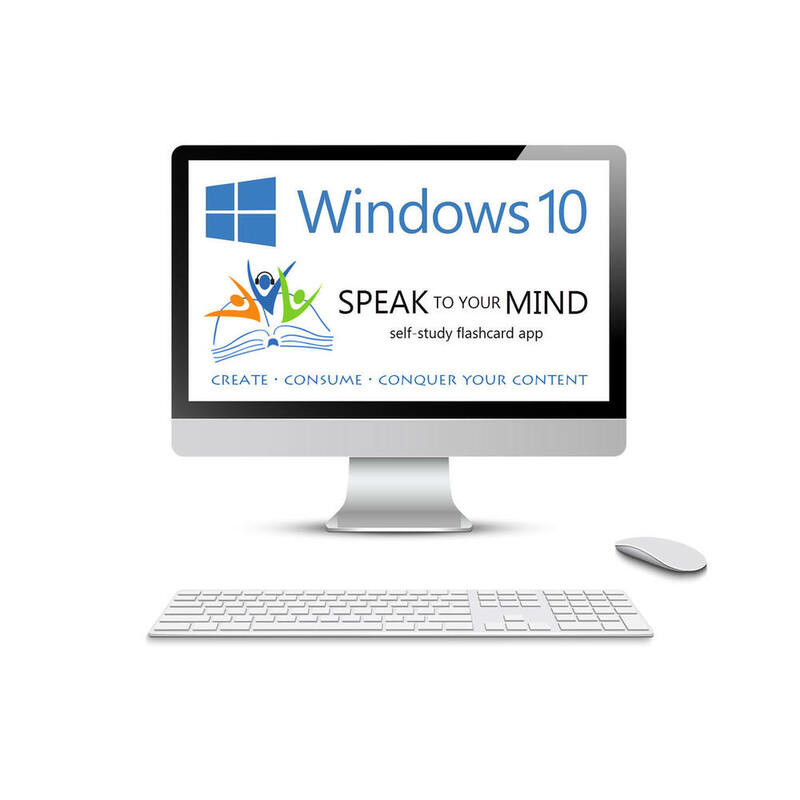 You're sure to enjoy the powerful combination of using SpeakToYourMind on Windows 10 to create, consume, and conquer the content you want to learn!